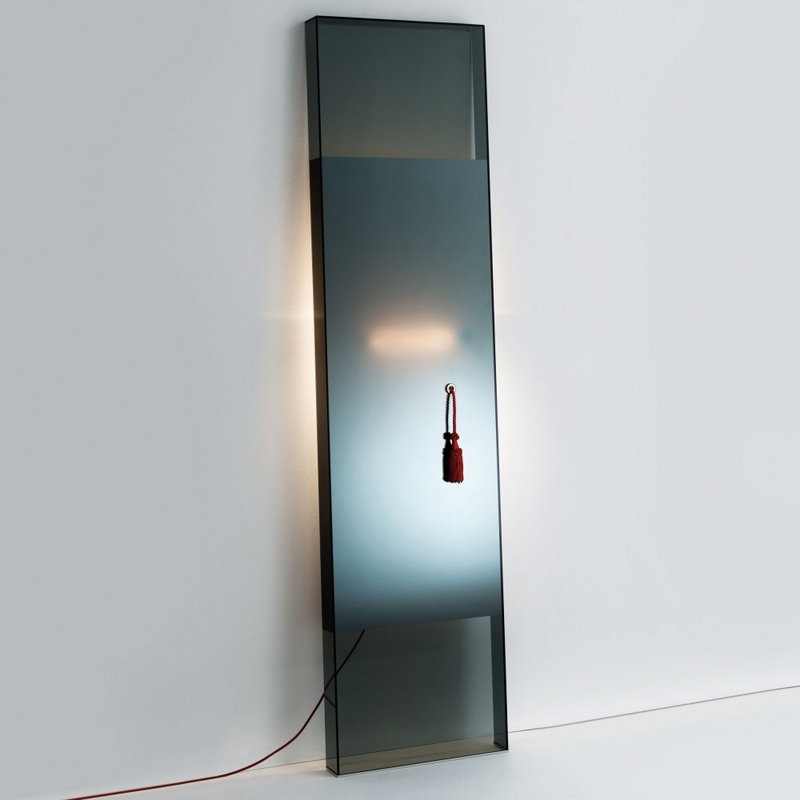 standing mirror in glued smoked glass. the upper and lower parts are transparent while the central part has a special mirroring effect through which the luminous trace of a lamp placed behind can be seen. it is possible to switch on and off the lamp by pulling a red cord.